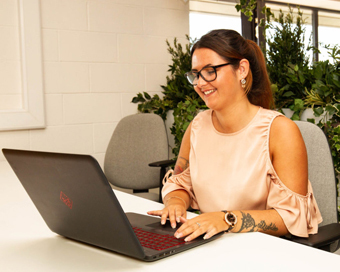 If you have a business idea or have just established your business and need an office environment to help you concentrate on work, The Mill Enterprise Hub might be able to help. The hub is offering new startups a chance to proceed from a “pre-trading” business to a fully operational company. There will be several hotdesk prizes over 2019 of 4 months stay in The Mill. In addition, it is offering female entrepreneurs who attend the Illuminate business Model Canvas programme at The Mill which commences on February 18th the opportunity to avail of a hotdesk over the two months of the part-time course. The free hotdesks are part of the 2019 celebration of the five year anniversary of the opening of The Mill which currently supports 33 companies with circa 90 employees. According to Breanndán Casey of The Mill enterprise Hub “many small businesses cannot afford to move straight into office space and renting a hot desk or shared space working can provide an excellent solution. Hotdesk rental can provide a low cost, professional solution for the small business looking to move on from working from home without having to make a long-term commitment for office space before the business is ready. The Illuminate hotdesks will enable existing female entrepreneurs to benefit from The Mill’s supports, meeting rooms, and networking environment as part of the DCU Ryan Academy-lead programme that supports female entrepreneurs to take their business to the next level”.